A Chinese young fellow, only 16 years old and is on his summer holidays nowadays, bought a Cubieboard2 from TaoBao. He was so infatuated and played with it all day. He asked the seller lots of questions, though many of them seemed not very professional. And then I recalled that time I was 16 years old. It was full filled with schoolbooks and test papers. I really admire his momentum and passion. One of his questions hit me in a great extent. He said: Cubieboard2 is so hot while playing games. I even feel pity to use it for long time, I have to use a household fanner to maintain it in cool. The main chip used in Cubieboard2 is Allwinnner A20, which is a super large scale integration circuit. It will become considerable hot especially when 3 core parts (CPU, GPU and DDR) are synchronously operating at full speed. Additionally, Cubieboard configures several higher operation parameters than Allwinner’s default or recommended configuration, in order to bring better user experience for geeks. In this way it will make heating phenomenon more extrusive. However, Cubietech promises that over-clocking in proper range will not damage the main chip because of heating reasons. You know, there is a temperature detection and protection circuit within the main chip A20. If the die temperature exceeds the set value, A20 will shutdown itself and enter into a safe status. As a board level system designer, Cubietech have not many methods to solve the heating problem. The only feasible way is to choose a heatsink. 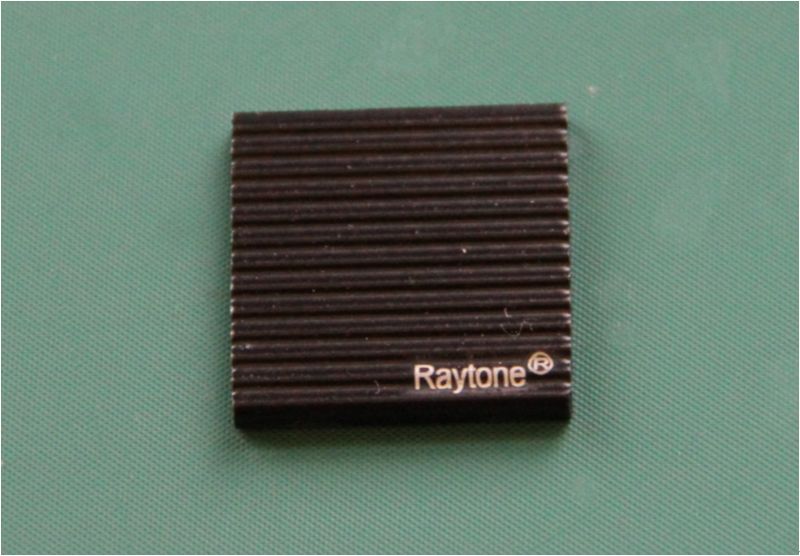 A few days ago, we purchased some heatsink which adopts nano carbons ( a high tech. 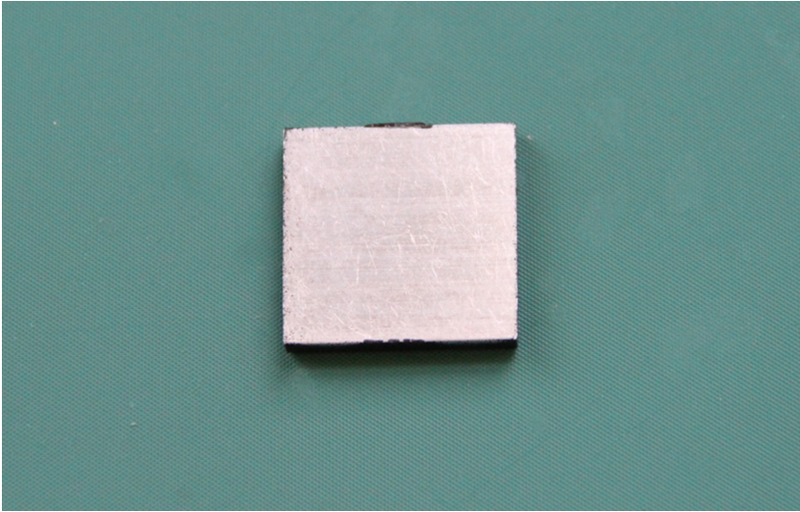 heatsinking material ) as surface coat. I find that it is very nice after some experimentation. It has a peculiar heat gather effect. By using this heatsink, the PCB around main chip will become very cool, though the surface coat will become especially hot. Is this a kind of noble character of sacrifice oneself to protect others? Cubietech recommends enthusiasts of Cubieboard buy a piece of heatsink like this incidentally. The whole 2 in 1 heatsink package is very cheap. 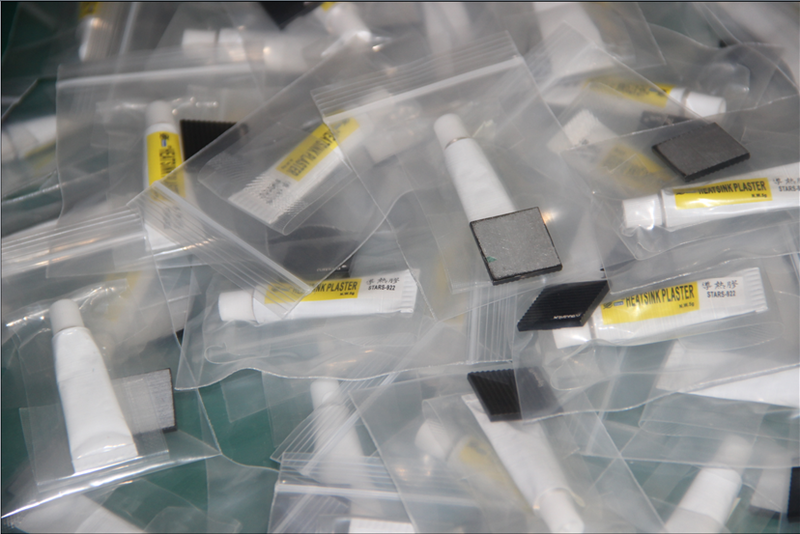 The most cost of this package is the heat conductive silicone. And we plan to bring a much lower cost heatsink solution in next step. 28 Responses to "2 in 1 heatsink package for Cubies"
search, you can also get benefit of comparison websites. With unemployment still near record highs and incomes stagnating, steady growth of this already huge magnet for scammers is one of the virtually guaranteed online fraud trends. Other cases involve installing a skimmer onto an ATM or kiosk. Used them on gumstix and other boards with a small fan. Helped avoid them overheating in Australian summer – air temps of up to 45*c.
by considering this problem I recommend to automatically install this solution on all the new boards (like the Cubietruck). This is due to the fact that our Cubietruck (router/server with OpenWRT) will run 24 hr / 24 hr 7 days / 7days. Then it will be needed to keep it as coll as possible then this solution is a requirements for all of us. Sincerely thank for your consideration and please let us know when could we hope buy the Cubietruck router/server (on which OpenWRT will run). Have a nice day to everybody. In next post I will publish some pictures of Cubietruck when they were in factory. And your suggestion is really very nice. I’m sure that we will delivery Cubietruck with a Heatsink kit. Even more, if you want to another more for your cubieboard, you just need to talk with the dealer. I’m sure that it is for free. How to buy it?On taobao?And I am afraid because I think I can’t remove this after I use this.And why no heat sink on memory?I think I need this too. you can find it in taobao. if you are afraid of removing. 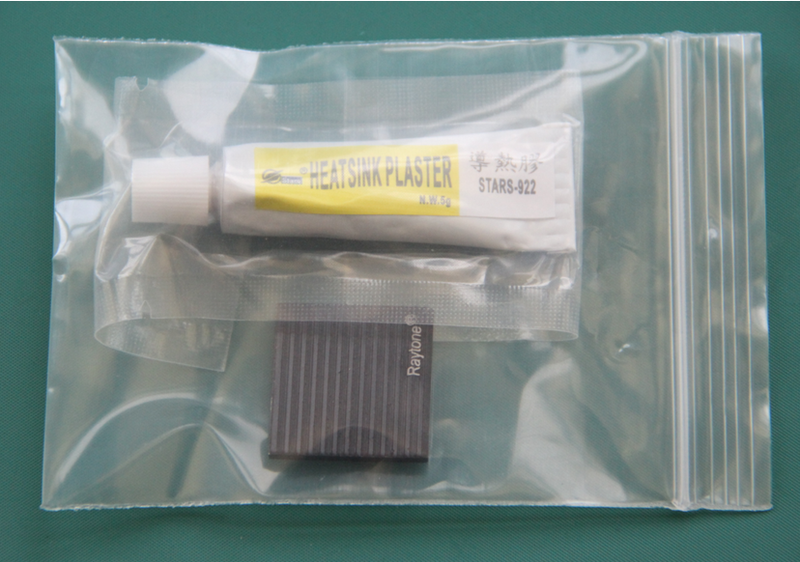 You can but All In One Heatsink Kit, also in Taobao. Oh,he is 16 and I am 12. Looking good, I’m wondering if someone could post the measurement of the heatsink/A20 chip in mm? 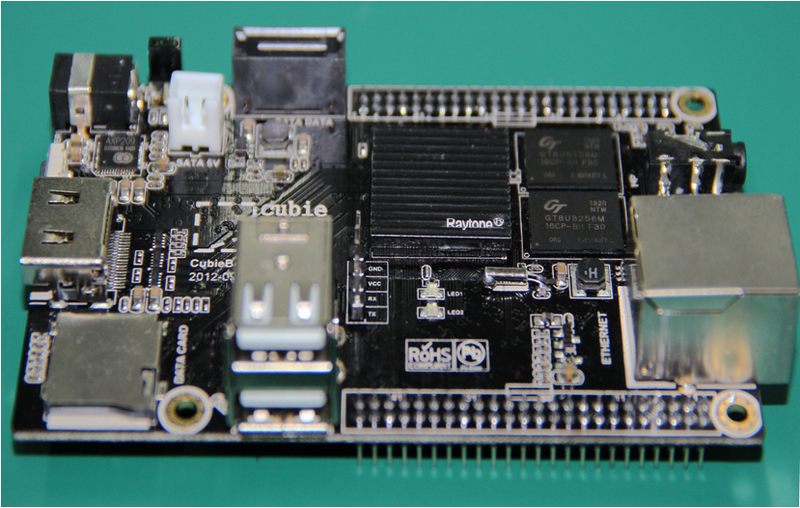 Keep up the good work, Cubieboard is definitely one of the higher-end boards out there, can’t wait to see what the r0ck team presents next (hopefully in the bbb/pi price range as well). Maybe 24mm height is too much though. I have no idea what size will fit.. Many sizes and quantities available. Thank you! I ended up getting this one, as I think it will fit. It is bigger than the chip, but will overhang a bit, and it’s tall enough to make a difference. There is a reseller in germany who already sells a Kit of heatsinks. Now I go and check the price of cubieboard. Do I really need cooling for more than half price of whole card ? Isn’t this a new way to take my money for nothing? Because thousands of tablets work without cooling, and SoC in a closed case with blocked air flow. I’m spanish and can’t buy at Taobao. There is another option for buying it? Yes, you can buy it in Europe a few days later, I can sure in Germany. But it will need some more time in Spanish. Yes, it is no problems. Heating is not so terrible! Hello! I’m also very insterested in this cooling solution. I have been doing OpenCV + NodeJS implementation on my Cubieboard, and as I observed after 3 days of nonstop operation at full processor usage on htop, the board is really very hot. I’m using a domestic electric fan to cool it at the moment. But I’m interested in passive cooling such as yours. Do you have any plans of making it available internationally, especially to Philippines based Cubieboard users? I really want to have a local dealer in Philippines, In that case, you can buy it with very low cost and shipping. Can you introduce me a on-line shop in you country ? Where can I purchase the heat sink and plaster? Ahhh this is so frustrating – great article, but WHERE CAN WE BUY THIS KIT?? I’d like it for my original Cubieboard as it’s on 24/7! I’m in the USA, anybody got link to purchase one of these heatsink kits?? :(, i even don’t know how to answer your question. It is not worthy for you to delivery such a small accessory with international shipping. I’m very critical of cubie’s distribution channel. Do you have some better advises for me? Hi guys, and thank you for the infos!!! I planned to find similar solution after experiencing high heating on my 2 cubies… the time has arrived! Every thing of cubietruck goes well. We will attempt a small batch production in next week. But we only have 44 pcs blank PCB this time.